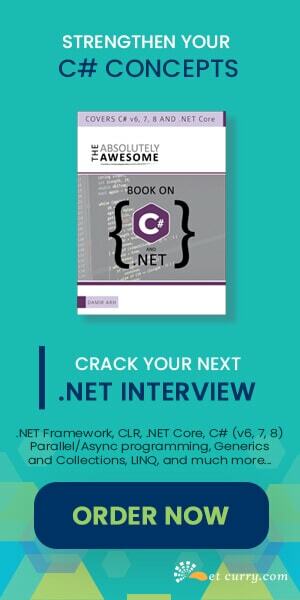 ASP.NET MVC’s tooling support goes a long way in making it a LOB Application friendly platform. However the default Controller scaffold contains direct references to the DBContext. This is a little smelly when it comes to separation of concerns and can often lead to ending up with ‘fat-controllers’. Instead, if our Scaffolder could generate a Repository Interface and its corresponding implementation, our LoB apps would not only achieve better ‘separation of concerns’ but also becomes more testable. The MvcScaffolder extension that comes as Nuget Package enables us to do precisely this type of scaffolding. Let’s see how we can use it in a simple Contact app. Step 1: We start off by creating a new MVC 4 Application in Visual Studio. We use the Basic Application template for now. This will install the T4Scaffolding dependency as well. Now that we have the MvcScaffolding package installed we are ready to setup our Model and then run the scaffolder on it. Step 3: Add the following Contact class in the Model folder and build the application. Step 4: Right Click on the Controller folder and select Add Controller. It brings up the standard Add Controller dialog but if you look at the DropDown, it has two additional options thanks to MvcScaffolding. Step 5: Now setup the Add Controller dialog as follows to generate CRUD screens for Contact model object. - Template as MvcScaffolding: Controller with read/write action and views, using repositories. Click on Add to complete the scaffolding process. b. ScaffoldingRepositoriesContext.cs: Contains the EF DbContext implementation used for persisting the data to LocalDb. Views – Views has the standard CRUD views generated. One thing to note here is that there is a partial view called _CreateOrEdit.cshtml. This view as we will see shortly, is common to both Create and Edit screens and hence separated out into its own partial. The generated views have one minor gotcha, as in the script references for jQuery Validation are added at the top of the Create and Edit views. 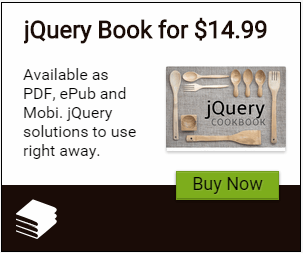 Our jQuery references are added at the bottom of the _Layout.cshtml. As a result of this the jQuery Validation scripts fail when trying to load ‘before’ the jQuery script itself. What this means is, Razor view engine will add reference to the jQuery bundle to the Scripts section and then try to render the Scripts section if present in any other child views. The contents of the Scripts section in child view will be after the jQuery bundle has been rendered. With the Script references fixed, we are ready to run the application. Neat! So our application is up and running as if it were built using the default MVC Scaffold tool. Time to dig in and see what’s different with the MvcScaffolding extension. Now that everything is working fine, let’s pop the hood and see how things are running. First up the repository. The ContactRepository.cs has the Interface and the implementation for Contact Repository. Note that the IContactRepository inherits from IDisposable. The implementation uses an instance of the ScaffoldingRepositoriesContext object that uses EF to persist data. There is an interesting Repository method called AllIncluding and as we can see in the code below, it can accept a parameter consisting of an array of Model properties. This way we can limit the amount of data loaded if required. It can also be used for excluding Navigation properties etc. The InsertOrUpdate method checks if the Id property has the default value, if it does, it saves it as a new entity. If the Id already has a non-default value, attempt to Update the entity. The ContactController is also generated a little differently, as in, instead of an instance of DbContext, we have a direct assignment of an Interface to its concrete class hardcoded in the constructor. To resolve this, we have to introduce an IoC Container to inject the dependency instance into the controller via the constructor. At this point, we can go ahead and integrate our favorite IoC container/DI framework as we want. What this does is, it adds T4 templates required for Scaffolding into a CodeTemplates folder. All T4 files are in a folder by the name of the scaffolder you created (MyScaffolder). // Example model value from scaffolder script: Hello, world! Essentially the Scaffolding plugin is not only helping generate CRUD screens, but if you have repetitive code that you want to automate, you can very well use the Custom Scaffolder feature to make life easier for yourself. MvcScaffolding is a nifty extension that adds additional scaffolding capabilities to the default MVC tooling that comes out of the box. How do we get the "MvcScaffolding Controller with read/write actions and view, using repositories"?